The classic wonders of Peru stand on top of mountains and dangle within cocktail glasses. 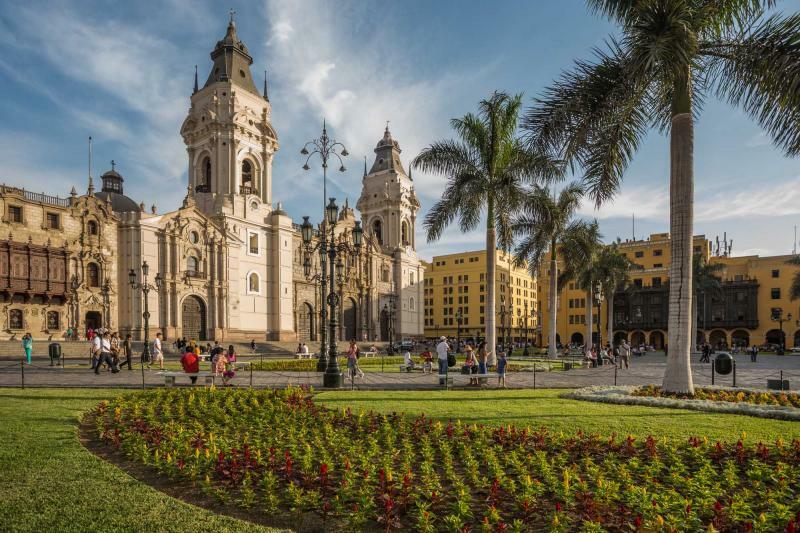 The historic center of Lima shines like a gem amongst the diverse neighborhoods of the city. Cusco meanders along the mountains with cobblestones and Incan ruins. Machu Picchu sits amongst the clouds as a diamond in the ceiling made of clouds, while the classic Peruvian Pisco Sour cocktail gives a tasty lingering tang to your lips. 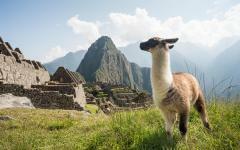 Classic Peru is filled with greatness, big and small—come see for yourself. Classics remain staples throughout history; while in Peru you will discover the masterpieces on this 8-day tour meant for classicists, wanderers, wonderers, flavor lovers, and anyone interested in enjoying Peru for the beautiful country that it is. 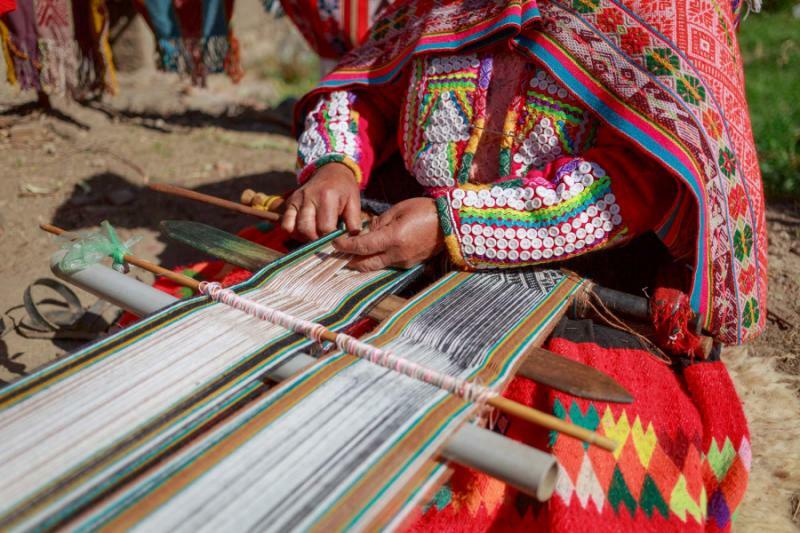 Discover ancient ruins and vivid indigenous culture along the Andean plains. 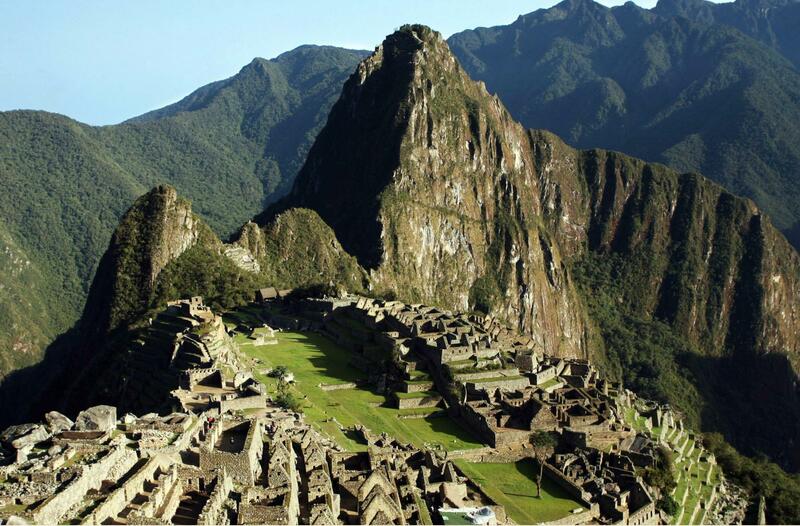 Journey through the heart of the undulating mountains to find the Lost City of Machu Picchu. 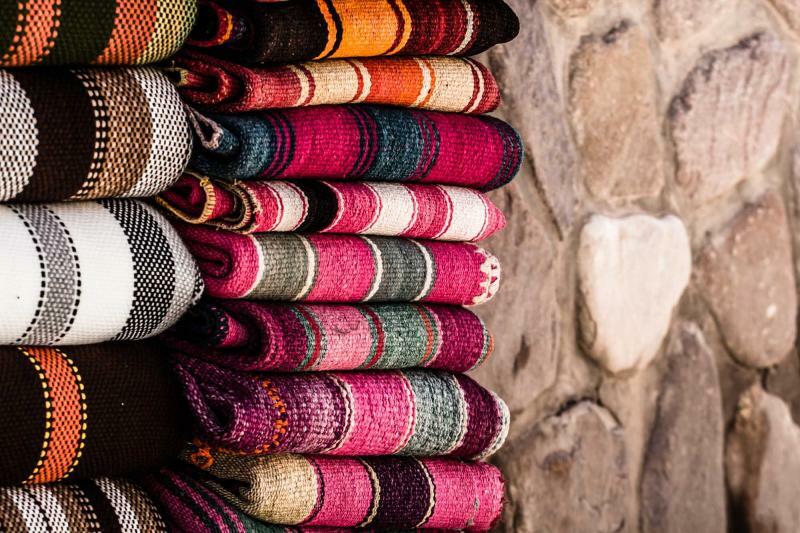 Step off the beaten path in the Sacred Valley’s vibrant traditional villages where the colorful textiles glow and the markets are filled with vivaciousness. Classic Peru is filled with greatness, from the clothes to the people, the mountains to the ruins, the spices to the cocktails, all you have to do is show up. 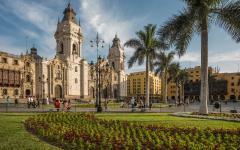 Begin your classic tour of Peru with your arrival in Lima. The city is diverse in culture and eclectic in history. Visit the San Francisco Monastery to experience the sensational architecture and eerie catacombs beneath the grounds. Once in Cusco you can experience the stunning narrow cobblestone streets of the city that wind along Spanish architecture, filled with Andean culture. 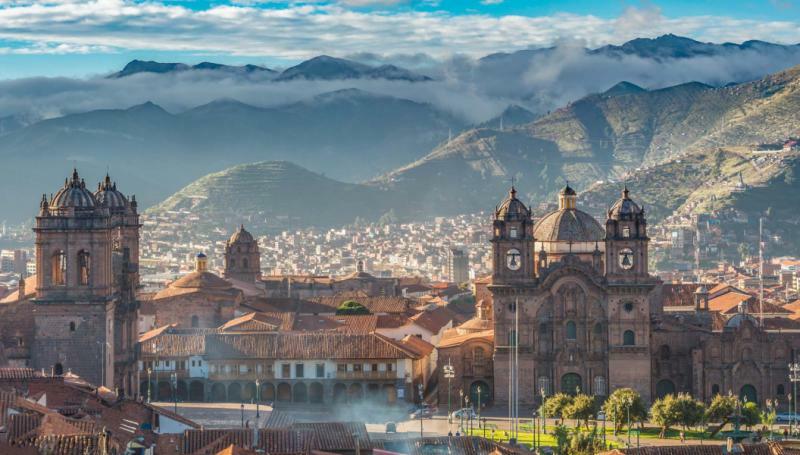 Explore the city’s surroundings where Sacsayhuaman fort lingers, designed to be the head of a puma along the Andean city, before you venture into the Sacred Valley. Wander amongst the Andean village of the Amaru, known for the remote location and colorful textiles. Help them harvest the plants from which they make dyes and clothing. 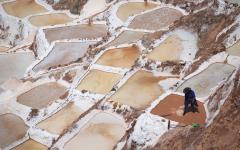 Outside the village of Maras you can find the air perfumed with the sea but the scent comes from the saltpans that are layered across the mountain. 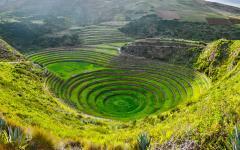 Outside of the village of Moray you can see the ruins of circular terraces left by the Incas. 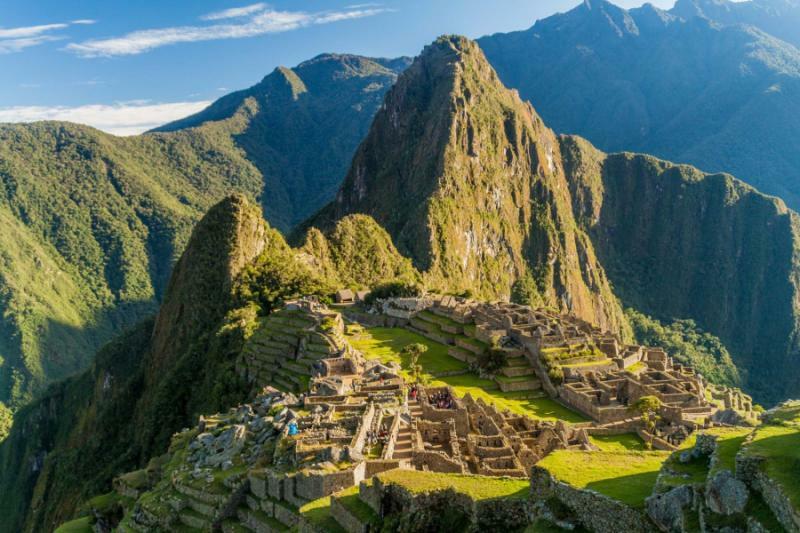 Continue your tour of Peru’s classic wonders as you watch the sunrise over the mountains that surround the Lost City of Machu Picchu. Stand amongst the glorious ruins of the famous Wonder of the World and let the sun bathe the stones and plateau. 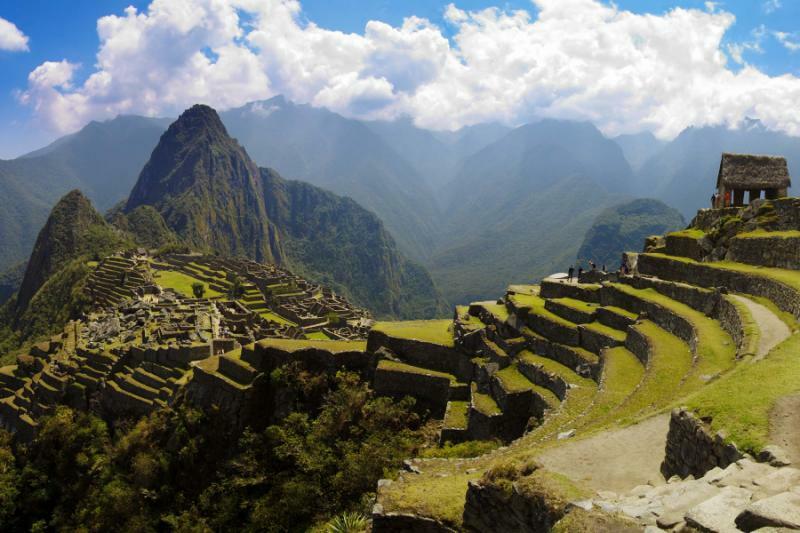 Enjoy a guided tour through the city to experience the history and connection of the Incas to the land. 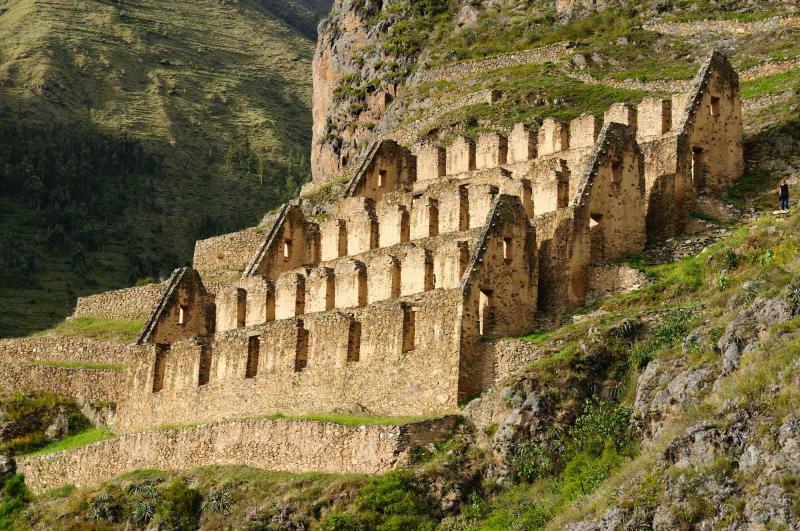 The luxurious train ride from the foothills of Machu Picchu takes you to Ollantaytambo. 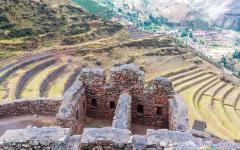 The village is centuries old and sits beneath the ruins of the Incan fortress that guards the Sacred Valley. 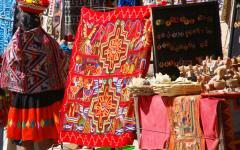 Return to Cusco with the jovial sounds of the Plaza de Armas welcoming you back. Wander along the quiet Plaza San Blas, let the tangy citrus of a Pisco Sour warm your lips before you depart for home. 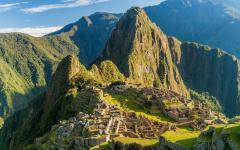 Your time in Peru has brought with it the experience of classic heritage and majestic cultures. Classics become masterpieces for a reason, and you have tasted truly classic Peru. Arrive in Lima to the bustling sounds of the City of Kings. Transfer to your luxurious accommodations and see the diversity of Lima that sits along the ocean like a montage of smaller cities comprised as one. Each neighborhood has a distinct culture and feel, different from any other space in the metropolis. The Plaza de Armas is gilded as the gem of the historic center, boasting the Spanish colonial past in the gorgeous structures that decorate the square. Watch the glow of the Government Palace as the sun drifts across the sky shifting the pearl white façade into a stream of orange. A stroll through the Surquillo district brings with it the aroma of fresh produce and spices from the farmers market. Established by the government as a Boulevard of Gastronomy, it is now a pedestrian showcase of classic Peruvian ingredients, such as pimiento peppers and huacatay, an herb similar to basil and mint. The San Francisco Monastery’s bricks glisten a lovely gold in the afternoon sun. The bells clang in the open sky adding music amongst the vibrant life of the city. Enter the church and find a calm escape from the bustle of the lively city, filled with preserved rooms that showcase the Baroque architecture and gilded alters. Witness what makes the monastery different from other churches by joining the free tour that will take you into the catacombs. The natural light that feeds into the church fades as you descend into the depths of the catacombs. The air becomes damp and cool. The lights flicker. An estimated 75,000 bodies lie around and beneath you, stacked along the circular bricks of the subterranean labyrinth. Ascend from the catacombs and back into the beautiful light of the day, the classic sights of Lima are more than common, they are timeless. 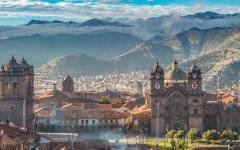 Today you will transfer to the Lima airport and soar over the vast peaks of the Andes, arriving in the timeless city of Cusco. The city glows with the opulent buildings of its Spanish past while the people continue to shine with classic Andean culture. The cobblestone streets spread through the city, from the wide lanes of the Plaza de Armas to the narrow lanes that lead to the bohemian neighborhood of San Blas. Along the ridges of the forest that stretches above the city you can see the large stones of Sacsayhuaman fort looming. Cusco was designed to look like a puma from above, the symbol of the Incan dynasty, with the fortress symbolizing the animal’s head. Venture into the fort and feel the smooth angles of the gigantic stones, cut and molded to fit together without mortar. Once inside the Incan fortress built to defend the capital city, you can stroll along the expansive walls that guide you deeper into the stronghold and closer to the trees. The stones range in size, from small to almost 20 feet tall making the structure that much more impressive along the edges of the city. You can even climb along or slip down the steep stone slide hidden by the monoliths of the fortress. The breeze blows through your hair, the ground almost comes up to meet you as your glide with glee down the secret natural slide of Sacsayhuaman. From the strength of the stones of Sacsayhuaman you will venture over the stunning peaks of the Andes where vibrant life and multi-tiered plantations of Chinchero Village decorate the hillside, before descending into the beautiful depths of the Sacred Valley. 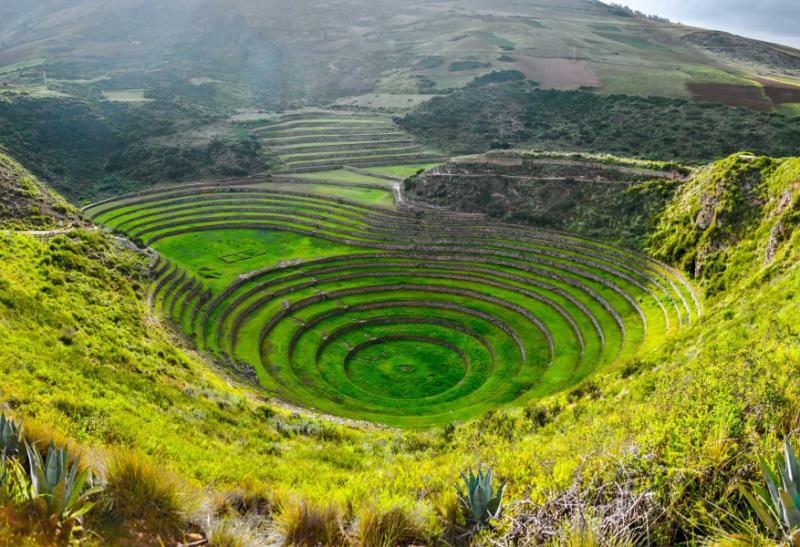 Today you will watch the wonders of the Sacred Valley open before you, from the cultural remains of the Pisca ruins to the remaining culture of the Amaru. 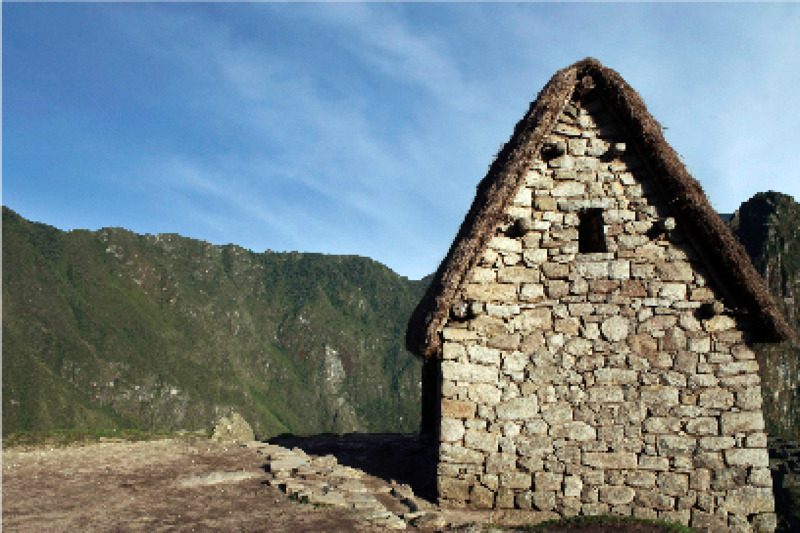 The isolated community of the Amaru is indigenous to the Andes. The village sits along the sloping hills of the valley. The air is dense with the scent of freshly harvested quinoa and the crisp breeze of the plains. The villagers’ clothes shine purple, red, orange, and white along the lush green of the valley. 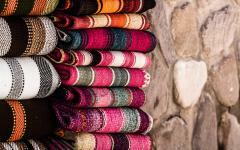 Join the women as they gather plants to use as natural dyes, grind and pulp the flowers into dust, and create the colors that they blend into their unique textiles. 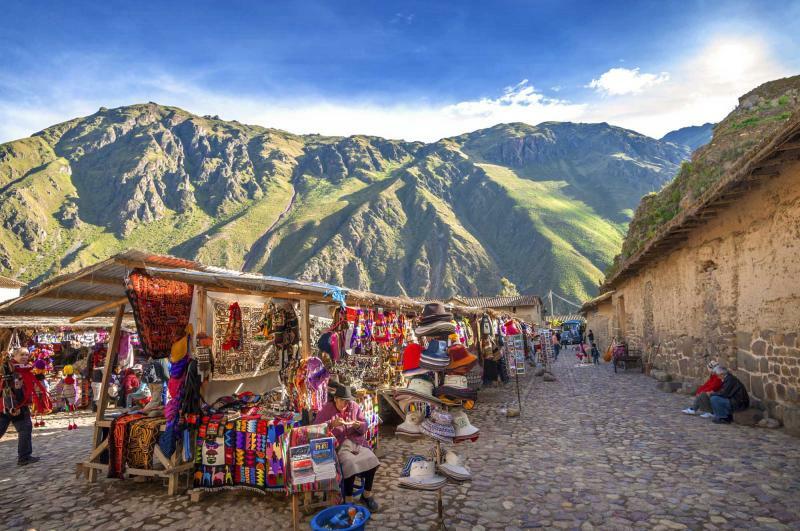 Whether you choose to lunch in the village or within the history of the Pisac ruins the colorful wonders of the valley are present to keep you company. The Pisca ruins sit along the hilltop at the entrance to the valley. The stones continue to lie in a grid and look like the remains of a castle among the mountains. Stroll through the ruins, the musk of earth and stone drifting around you. The sky is open and stretches to the distant mountain peaks. 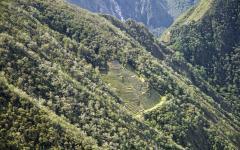 The agricultural terracing sweeps around part of the ruins and the mountain in large, graceful curves practically uninterrupted. The sweeping panorama of the valley is stunning, wondrous, and perfect. 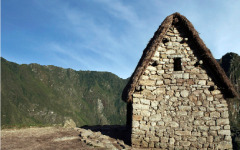 Today you will venture into the mountains to see the spectacular colonial villages and the wonders that they contain. 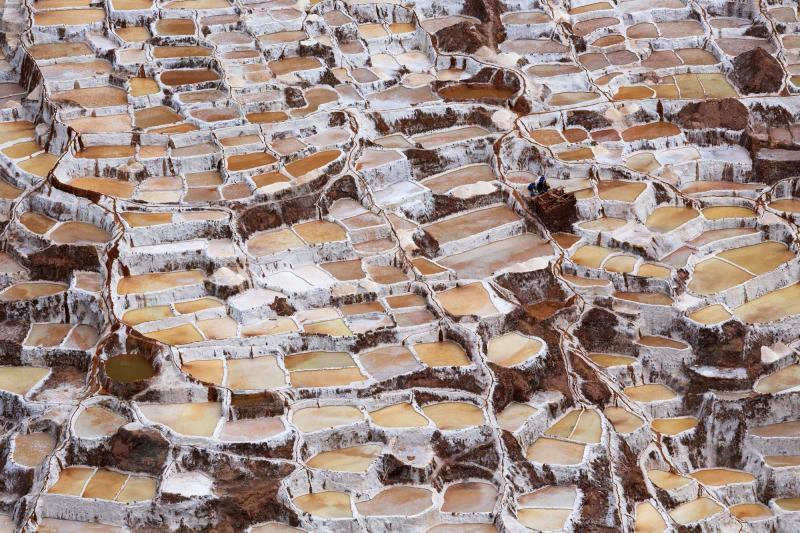 The village of Maras is known for the terraces of saltpans that climb up the mountainside. 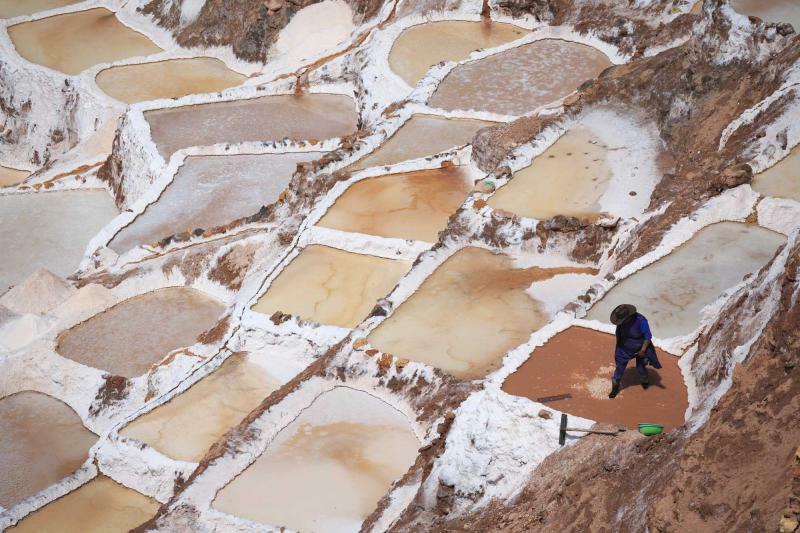 The square pools capture the potent salt water from the local spring. As the water drips, the pools fill. The salty scent of the village reminds you of the ocean. 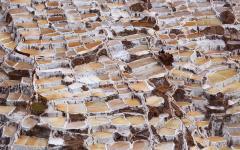 In the arid Andean air, the water evaporates leaving only the salt behind, ready for harvesting. Your journey along the mountainside continues with your visit the local village of Moray. The village sits located next to a unique set of Incan ruins comprised of large tiered circular depressions. 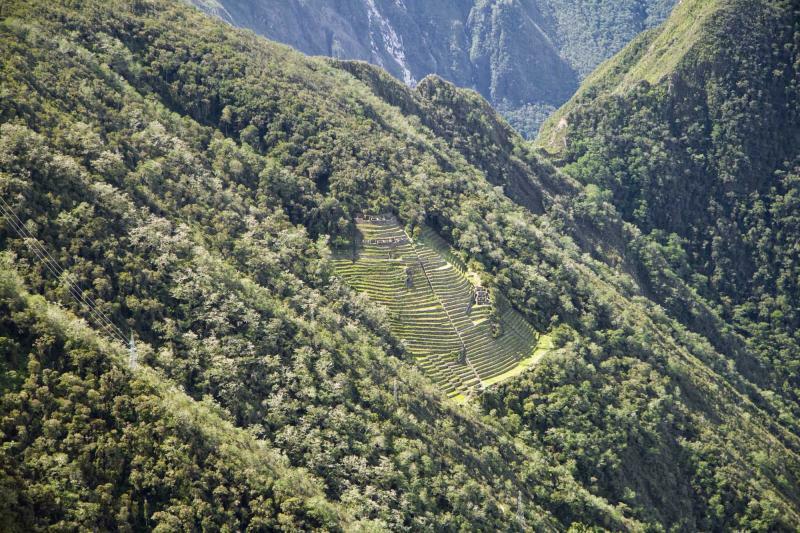 As you look down on the terraces you are reminded of crop circles decorating a plateau in the central Andes. The lush green of the shelves exacerbate the space between tiers, showcasing the sensational structure. The beauty of nature and the brilliance in the ways in which it has been used remains as you make your way to the train that will take you to one step closer to Machu Picchu. 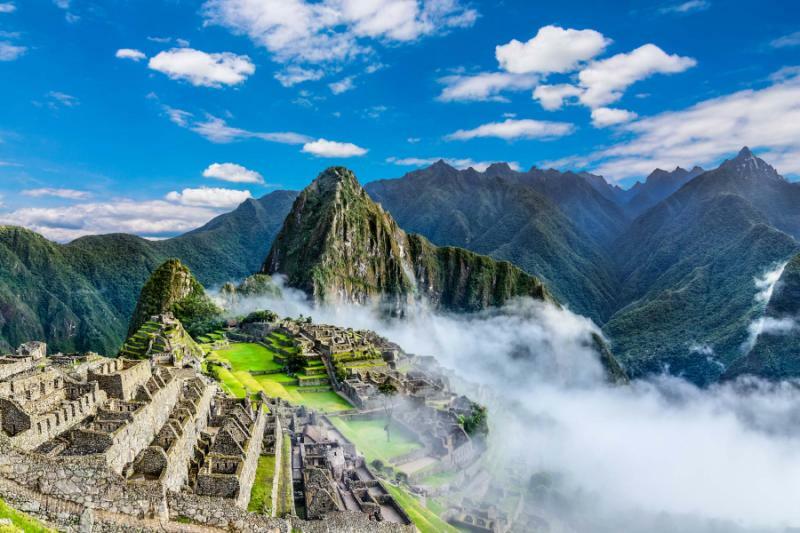 The sun rises over the Lost City of Machu Picchu with you standing at the center of one of the Seven Wonders of the World. The mist rolls over the plateau covering the ruins from a distance. You can see the stone city as the clouds began to burn away, the sunlight peaking over the mountaintops. The Sundial is perched on the tallest hill over the rest of the city, the shadow cast from the light drifting across the stone and the surrounding buildings. Climb down the stairs to Condor Temple and watch the remains rise above you as the cologne of earth and stone surrounds you. Follow your guide through the remnants of the Lost City that sit within the clouds. Many people decide to climb the towering peak of Huayna Picchu, which allows for a small amount of visitors a day to ascend the grand mountaintop. But a fabulous venture into the classic remnants of the city means a visit to Temple of the Moon. The route begins in the same place; however, you find yourself turning left instead of up, where a set of stunningly carved caves and buildings reward you. The overhang of the cave leads into the building carved into the mountainside and looks like a corner of the moon. Look toward the center of the cave and find a throne carved from stone. Beside the throne are steps that lead deeper into the cavern. The wonders of the cave add to the majesty of Machu Picchu. The Lost City beckons, the sun continues to shine, and you find yourself lost in the beauty and continuously finding awe. Today you will hop onto the comforts of the train that will take you from the base of Machu Picchu to the village of Ollantaytambo. With the stunning majesty of Machu Picchu forever ingrained in your mind and imagination the train will carry you beyond the contemporary sights of Aguas Calientes and into the living history of the Ollantaytambo. 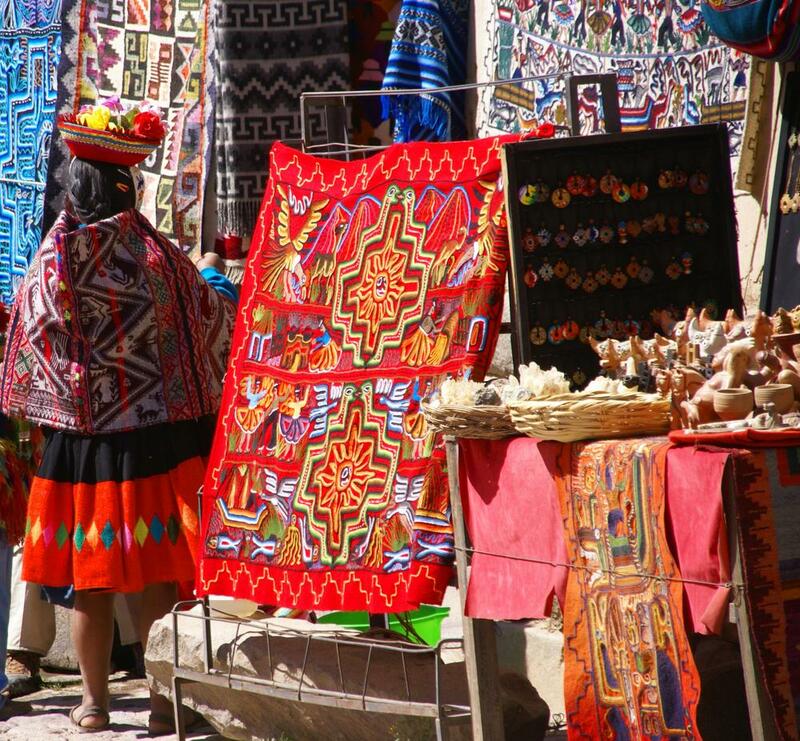 The town itself has been filled with life since the late 15th century and continues to be filled with the colors and delight of Andean culture. 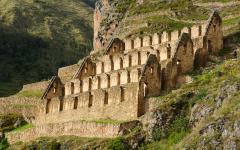 Travel the path to Temple Hill where the multi-tiered fortress of Ollantaytambo rises along the mountainside. The Wall of Six Monoliths shines pink in the afternoon sun. The boulders tower over you and look almost to be mountain peaks in themselves, like a wall stretched over the Andes. The Ñusta Bath was carved from a single stone and continues to drip water from the aqueduct into its pool, the scent of damp stone rising from the bath. As the afternoon lingers you will enjoy lunch at a colonial-hacienda before returning to Cusco. The city of Cusco welcomes you back along the narrow cobblestone streets. The continuous boisterousness of the city brings a smile to your face. Pearl white buildings are stacked next to one another without space surrounding the streets that lead to San Blas. The streets are picturesque and have in fact been painted into many artists’ renderings of the city. Within Plaza San Blas the quiet cool of the neighborhood surrounds you. Wander into the cozy restaurant of Pachapapa and sip on the frothy, tangy luxury of a Pisco Sour. Whether you crave a traditional drink and cultural oddities or contemporary flavors of Peruvian cuisine, delight in Pachapapa with the relaxing drink and the fragrance of huacatay and the sounds of the city that fade into the background. Today you will wave goodbye to the streets of Cusco, the towering boulders of Sacsayhuaman, and the mountain peaks of the Andes. Make your way to the airport to begin your journey home. 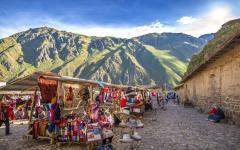 You have wandered through the remains of Spanish colonialism and seen the tenacity of Andean culture. You have tasted the flavors of Peru, witnessed the vivacity of the clothing, and wandered amongst wonders on your trip to Machu Picchu. 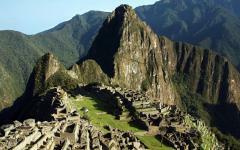 Your time in Peru has brought with it the experience of classic heritage and majestic cultures. Classics become standards for a reason, and you have tasted classic Peru. 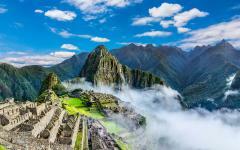 If you want to add on to this 8-day tour, be sure to read the trips reviews for Machu Picchu and Peru. 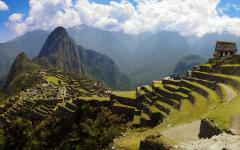 You will get ideas on how to further customize your amazing visit to Peru.